Where are you? It’s your time! The kids are missing you. You left them with a sitter, again? With notice I’m happy to cover you. Mac Donald’s all week? I can share some healthy choices. They spent All day on TV ? Let’s review some alternatives. Their homework was not done. Here is our homework schedule.. They never call me from your house. Let’s both have the kids call nightly. You can’t speak to me that way! If you can’t stop, I’ll need to hang up. There’s no supervision at your house. Can we agree on some limits for him? I’m not grounding Jack for you. We need to discipline on our own time. I need a calendar from you! Here’s my calendar. Please send yours. Coming Apart From A Narcissist? Let me introduce you to the narcissist. Narcissism is a personality disorder, which is a maladaptive and deeply ingrained pattern of behavior and personality style. It can develop from our genes, early childhood and teen experiences and the environment in which we are raised. In general, the narcissist has a sense of grandiosity and entitlement which can cause him/her to be manipulative, critical, envious of others, and demanding. Narcissists feel easily slighted, exaggerate their talents, expect special treatment, want the best of everything (because they deserve no less ! ) and are swift to blame others.They are arrogant, to various degrees, need constant attention, and lack empathy. If they fall short, they are fragile and experience vulnerability and humiliation. Under the bravado and charm, is a core of insecurity, often unconscious. They look down at those they consider to be inferior. There are legions of narcissists on our public stage in all fields..
Are you in a relationship with someone who only seeks to fulfill his/her needs? Does it seem that their attention to you, and others, is a means to appear giving but is more about getting attention or having their way. Their charm may have attracted you but, as time passes, you observe that it is superficial and geared to serving their own interests. What is underneath that public charm is not so pleasant. You will be told that you have stopped being interested, proud and supportive and that is why your relationship has deteriorated. It’s never their doing. If your partner cannot recognize or acknowledge any part of their contribution, don’t expect any cooperation. Once they can no longer seduce you into their web, they will accuse you of all the problems in the relationship (please note: we all have some input). If you admit to some your shortcomings, and that doesn’t make any difference, it may be decision time…to stay or leave. Such decisions are painful and deserve deep consideration. If you cannot tolerate your situation and decide to come apart, be prepared. Try to avoid ‘pressing’ certain buttons that may encourage more abuse. Do not be reactive to your partner’s behavior Focus on protecting yourself, your assets and, if applicable, the children. It will not be easy early on but eventually you will be freer to pursue your own goals. In addition to family and friends, a counselor and good lawyer are critical supports to help you extract yourself. Court ordered reunification therapy takes place when there is, or has been, a high conflict divorce. One, or both, parents may not be following their Parenting Plan and a child [or children] protests being with one parent. Reunification therapy is an attempt to undo damage and help parents and children move on, in a more positive manner. Unlike more traditional therapy, there is great resistance by family members who are being alienated or encouraging it, to engage in reunification therapy. They miss appointments, come late, feel they are not heard and are not open to hear any view different from theirs. They only want to hear that the other parent is terrible and needs to be avoided. There is no motivation to change their feelings and views. It is difficult for them to acknowledge anything decent about the other parent whose foibles are greatly magnified. In such cases, the only person who wants the therapy is the alienated parent, who is suffering and wanting to be a parent again. When doing reunification therapy, it’s important to see the alienating parent quickly and understand their personality and their dilemma and try to help them understand they are being ‘heard’. 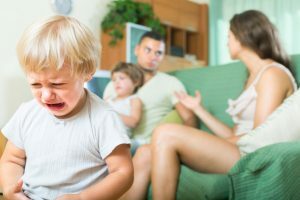 Their willingness to alter their behavior is crucial to helping their children be allowed to have and hold their own feelings about their other parent. If I am accepted, even begrudgingly, by that parent, it is more possible to have a good resolution. If there is more than one alienated child, a younger child will frequently absorb the feelings of an older sibling and imitate their behavior so it is beneficiall to see them individually. Reunification therapy is not a quick fix. As a therapist, I need to work with other professionals. I am asked to speak to or write family members’ therapists, attorneys and the court so this process is not confidential. There may also be a parenting coordinator, court ordered to help the parents follow the Parenting Plan in a way that benefits the children. I educate the parents about the importance of parent-child relationships and the emotional damage to children when that is curtailed and a parent is being vilified. The alienated parent needs to understand that s/he has likely made some mistakes that interfered with parenting and is helped to rectify them. Therapy with the children is listening and understanding their complaints about the alienated parent. There are often kernals of truth in their criticism but they need to recognize their exaggeration. The alienating parent encourages the child’s magnified negative vision of the other parent, his/her , and the child remains, I see a somewhat different version of the child. Although the child uses the alienator’s exact words and phrasing [usually not age appropriate] the s/he is less strident and, eventually, more open to even share some positive memories of the alienated parent. Joint sessions, with the child and alienated parent, begin with non-threatening games, perhaps some they have enjoyed in the past. As their encounters are less awkward, I initiate some other [not board] games such as guessing the other’s favorite food, vacation, color, etc. 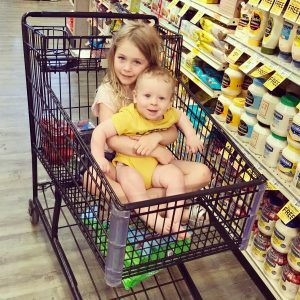 These exercises often involve sharing of memories which is especially rich when the child becomes aware that their parent does remember and realizes they were and are important to that parent. We then move on to more conversation and ways to ameliorate their situation. It is difficult for the alienating parent to feel the child is slipping away and more willing to be with the other parent. More work is needed for that parent to understand and accept their child’s need for both parents. Sessions wind down as the alienated parent and child relationship beings to resume. This is hard work – for all – but so incredibly important. I want to talk to you about a heartbreaking topic – children who become alienated from a parent [and likely his/her extended family as well]. 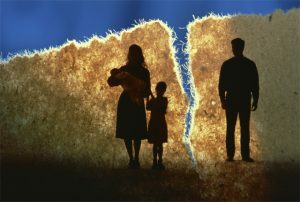 Parental alienation occurs when one parent continually demeans, criticizes and marginalizes the other parent and, often, their family. Unfortunately, we see this too often during contentious divorce. The child is privy to hearing faults and misdeeds , real or perceived, of the alienated parent. Children hear such statements as “he/she left us” instead of the reality that the parent was left or “he/she doesn’t love us any more”. In the extreme, there may be false allegations. The alienating parent makes no effort to speak privately about their partner/spouse to family and friends when they only have bad things to say. The saying “Children have big ears” especially rings true about listening in on conversations when their life is being turned upside down. The alienating parent may have no awareness of the harm s/he is doing to the children. He/she is overwhelmed by devastation and feels s/he is protecting the children from the other parent. The alienator projects his/her rage at the other parent and believes that the children feel that anger on their own. Alienators do not believe that they initiated that rage and then cultivated it. Hopefully, the alienated parent does not engage in the war and loves the children enough to become informed about alienation and how to get help. The alienated child becomes’ ‘parentified’, feeling that they need to protect and defend the hurt and angry parent. The child often parrots the exact words of that parent, using words or phrases that are not uttered by their age peers. The child’s comments about the ‘bad’ parent are strong and all encompassing. There is no admission of anything good about that parent. Most children have negative and positive things to say about their parents. After all, we are all human. An alienated child sees NO good in the ‘bad’ parent. The harm to children is multifaceted. They are in great pain. Not only do they lose contact with a parent (and their extended family), they are learning that when people come apart, ‘war’ is inevitable and warranted. That angry feeling and behavior can seep into their personality and affect friendships and future relationships if they part ways. At a time when the family is coming apart, children lose half of their primary support. Even if the alienated parent was not as active, in parenting, as the other, they usually want to have contact with their children. Sometimes those parents left the household in order to avoid their partner/spouse and keep the peace. When doing parent/child reunification therapy, I work with both parents and the children to help them understand that they will all benefit from working through their differences. Parents learn to move on with their lives and realize how much their children will be affected and limited if the present situation continues. They come to realize that there are major benefits for their children if they can alter that situation. War destroys. Working together peacefully builds.